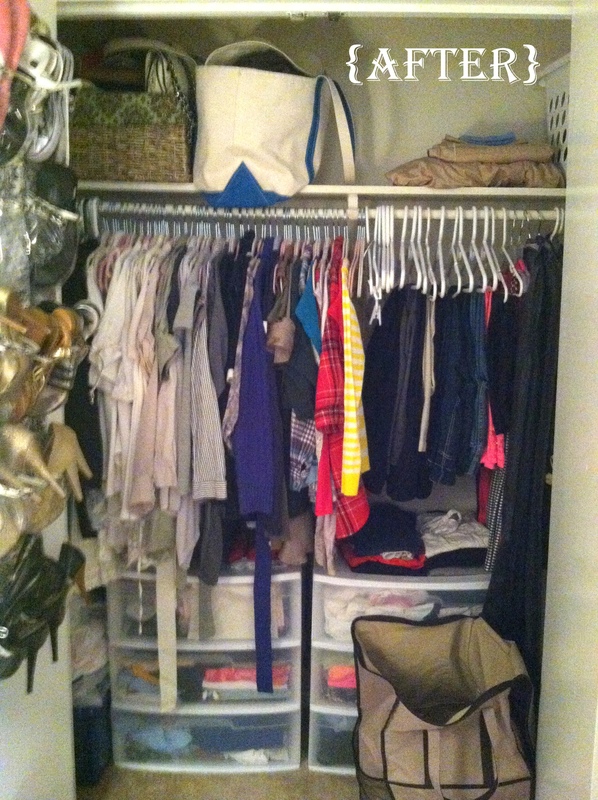 My closet has been neglected, I can’t even tell you how long! Especially over the Holiday season as I worked two jobs, it was the last thing on my mind to tidy up, letting clothes pile where they will, scarves in a heap on the floor, complete disarray everywhere. Of course it bothered me to look at, and I’d have a small inclination to pick things up and put them in their rightful place, but totally did not have the energy or will power to actually do it. Last weekend, I thought enough was enough. I finally have the time and energy to do it and a HomeGoods gift card had been burning a hole in my pocket since Christmas. I didn’t go there with the intention of walking out of there with snazzy, space saving, slip resistant hangers that I’ve been eying for years, but that’s exactly what I did. I got two sets of 25 hangers for only $12.99 each, and one set of 18 for $9.99. Not bad, I say! 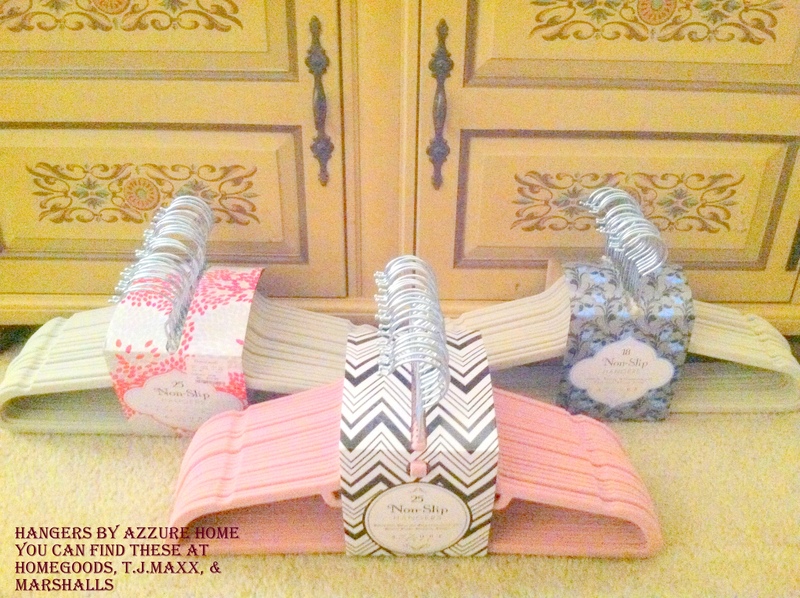 These hangers are very thin, allowing a little more room for the extras in your closet, not to mention they come in a ton of fun colors to match any theme. I feel like this was a small way of updating my closet’s look and helped give me that motivation to organize it and put things in their rightful home. Agreed! So glad I could be of inspiration 🙂 Good luck with your update! About this time of year I start thinking about the swap over, the long sleeve shirts get moved out and the short sleeve ones replace them. Some of my long trousers get swapped for shorts. In my chest of drawers I store short socks separate to long socks, Ikea do some great storage containers for this sort of thing too. I check my woolen tops as well. Get them out and open them out to air them a bit and then refold them and put them back on the shelf. I also use the swap over time to inspect my clothes and decide what needs to go in to the charity bag, what needs replacing etc. 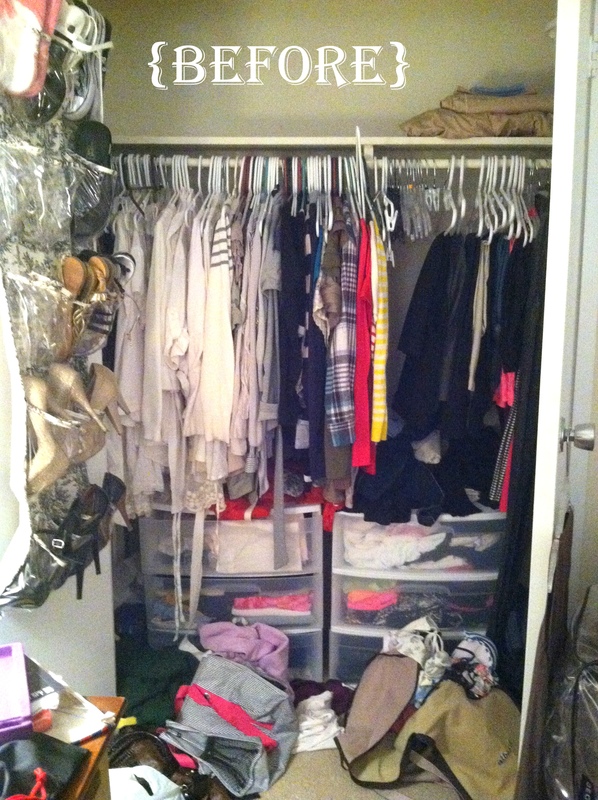 That’s a great organizing method! It’s one thing I’m itching to get back to once we have our own place again!